A happy pet is a healthy pet and a healthy pet is a happy one. When we talk about nutrition, it doesn’t only mean providing our pets with their basic meals. It also means that the meals that we provide them with are the ones that will ensure that they get all the nutrients that will make them strong. Cat nutrition is no exception to the rule. Many times, manufacturers will claim that their cat food is enough to provide your pet cat with all the nutrients and vitamins that he will ever need to get into a healthy lifestyle. In reality, however, many of these types of cat food will require that the pet owner provide additional nutrition for cats -- his cat in particular. 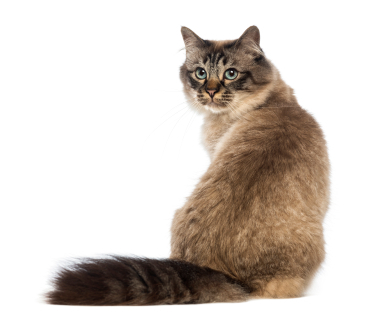 Whether it’s a home-cooked meal or a commercially made one, there are still some nutrients that are definitely lacking in order to provide your cat with the best diet possible. This can only be possible by providing your cat with additional vitamins and supplements. Pet stores and even online dealers can give you so many choices when it comes to cat vitamins and supplements. Because of the many available choices, it can be quite difficult to make a decision as to what vitamin will most suit your pet cat. To make things easy, do keep in mind that there are essential vitamins that need to be part of your cat’s diet. The others can be considered as extras. These vitamins are either fat-soluble or water soluble. The essentials are considered to be vitamins A, C,D, E, K and all forms of vitamin B. All of these are meant to protect all aspects of your cat’s health. These vitamins are meant to protect organs such as the eyes, heart, muscles, bones, and even your cat’s fur coat. All of these are meant to prevent the onset of disease in your pet cat, especially if your cat is already one that has already aged. Vitamins For Cats – Do They Really Help? In today’s economy, people usually question the need for an extra expense. In the case of your pet cat, the need for vitamins for cats becomes questionable as well. However, as responsible pet owners, you should always bear in mind that not everything can be found in your cat’s food. The need for cat vitamins arises from the fact that these are given to the cat to prevent disease and to protect your cat’s body from harm such as the diseases which may be quite debilitating. Cat vitamins are there in order to provide your pet cat with a healthy body and a healthy body leads to a longer life.